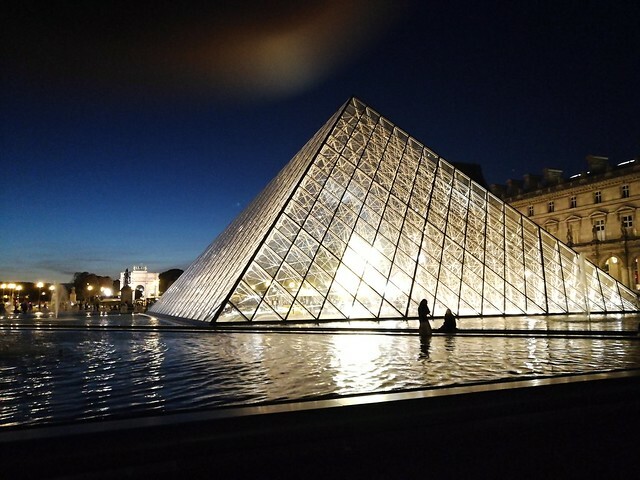 I'm back in Paris after four months in Australia. There's no doubt the Sydney winter was more comfortable than Paris' summer heatwave would have been. Especially in my tiny non-air conditioned top floor room. Even the city's autumn weather is unseasonal, with daytime temperatures currently in the mid to high 20s. I'm wearing shorts, and sleeping at night under the cover of just a sheet. When I arrived here in March, I was greeted with snow and sub-zero temperatures. That's not the only thing that's different this time around. I've decided to limit cake consumption and to suspend my half-baguette a day bread habit, in favour of one or two croissants a week and a few high-fat treats. It's the result of reading a new healthy lifestyle book that my brother put me on to when I visited him six weeks ago. 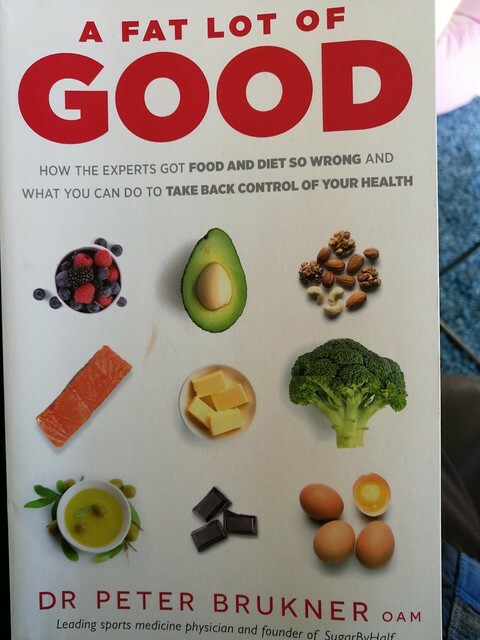 The book is written by former Australian Cricket team physician Dr Peter Brukner and titled A Fat Lot of Good. It's part memoir and part commonsense interpretation of the ketogenic or low carb diet. The diet advocates maximising meat and fat and vegetables grown above the ground, and minimising grains and sugars and processed foods. I know that there's no good reason for me to tamper with my choice of foods. For several years I've maintained a healthy weight and blood pressure and enjoyed a balanced diet. 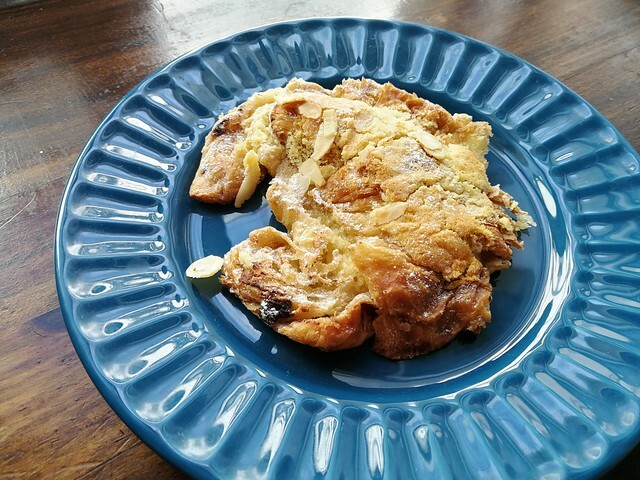 When I mentioned it to my GP, he was not particularly fussed one way or the other, as long as I manage to contain my zeal and my portion sizes. He pointed to a study in The Lancet that challenges thinking that meals such as bacon and eggs for breakfast can be a healthy choice. The study suggests we should replace grains and sugars with vegetable rather than animal products. My motivation in varying my diet is to enjoy some of the delicious high fat foods available to me here in France. My rationale is that if I'm prepared to say no to baguettes (high in carbs), I can opt for croissants (which are mostly butter and therefore high in fat). 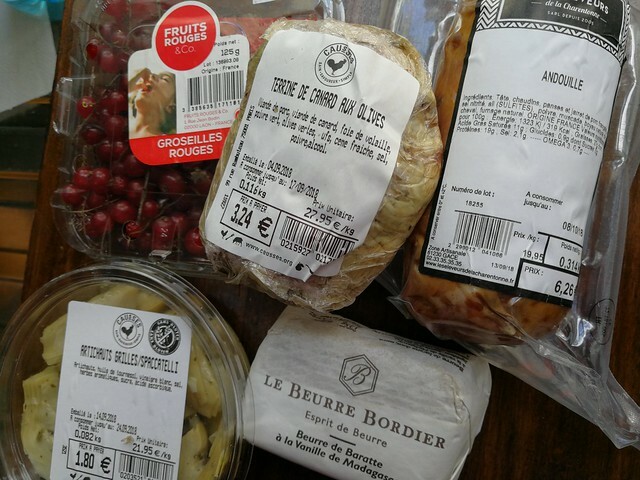 On my first day here, I headed for my nearby good food store Causses and brought home a duck terrine, Andouille pork sausage and vanilla butter. I've been using the vanilla butter to flavour the undeniably healthy broccoli I've steamed in the microwave. I have long wondered why the French eat all these delicious foods while maintaining a low obesity rate (15% compared to 28% of Australians). Obviously portion control is a major factor. But I think that it's also their tendency to be less submissive to received orthodoxies. According to Brukner, Australians have been duped in their acceptance in recent decades of the teaching that fat is bad and sugar is more or less OK. The important thing is not to go to the other extreme and believe that fat is all good. The French don't believe fat is good or bad. They consume fat, and also sugar, in good measure. My attitude to a healthy lifestyle is similar to my approach to religion. Our interests are best served when we take responsibility for our own choices and leave hard line preaching to the professional zealots. UPDATE: I had an email exchange with Peter Brukner, who did not specifically mention croissants in his book. It turns out that they may be mainly butter, but they're still bread containing a significant proportion of carbs. So consuming them will be an occasional, not a daily, ritual. He also dismissed the 'crap research' contrary study that warned against animal product foods. He suggested it is discredited paid-for content from a commercial offshoot of the Lancet. He pointed me to articles and video that argue it is methodologically flawed data collected by individuals with a grain industry political agenda. Michael Mullins lives in Sydney, Australia. Enter your email address to receive the blogs in your inbox.